We are a family estate. Three generations work and live here. 60 years ago my grandparents started to shift the emphasis from mixed farming to viticulture. My father continued to follow the taken path. The 1,5 hectares of the early days meanwhile became nine which are primarily located throughout the steep terraces above our estate. 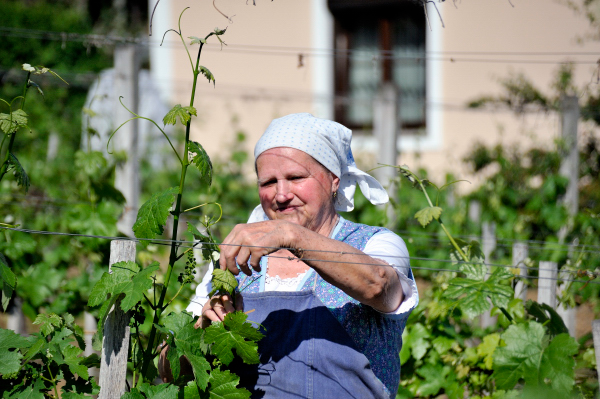 We did not only become bigger, also our grape varieties and vinification methods changed over the years. Red wine and Rosé are a thing of the past. Riesling and Veltliner dominate these days, complemented by Gelber Muskateller, Chardonnay and Sauvignon Blanc. All these steps were taken slowly and deliberately and always in dialogue with the older and younger generation. To this day all family members take an active part in the farm life. My grandmother managed the estate in the first difficult years, when all we had were the steep slopes behind the Bruck, as well as three cows and four pigs that were grazing on our meadows. She is still in charge of the household, cooks and works in the garden. 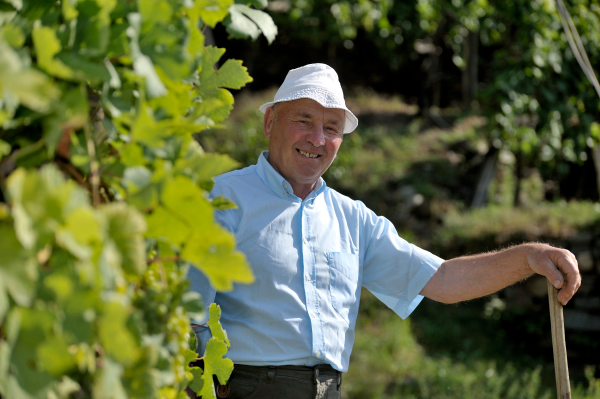 My grandfather is most passionate about working with the vines directly – he has never been that interested in the processes that take place in the cellar. Come rain, wind, sun, snow or storms – you will always find him climbing around in our terraces, 10 to 12 hours a day. We have about 32,000 vine stocks on our 9 hectares, and my guess is he knows every single one of them. And not just their exterior qualities, such as the winding, strong stems and the powerful root systems, but also the ways in which they function, where they root and what they need. The rest gets done by my father and myself.